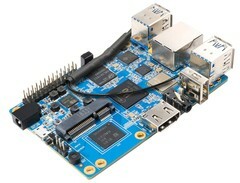 The Orange Pi, an alternative to the Raspberry Pi, has received a RAM upgrade this week. There are four new versions of the single-board computer, which start at US$29.90 plus shipping. 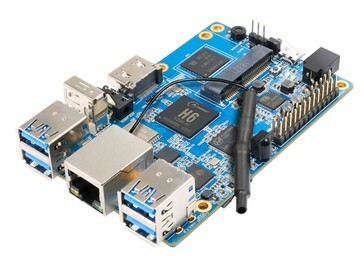 Following the recent RAM upgrade for the Orange Pi, Shenzhen Xunlong Software has released the Orange Pi 3 H6, a new version of its single-board computer. 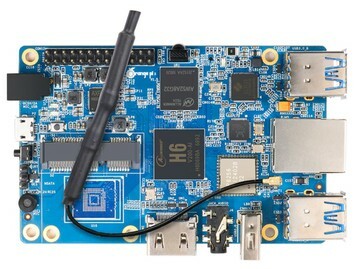 The Raspberry Pi competitor is equipped with an Allwinner H6 SoC that integrates four ARM Cortex A53 cores that clock up to 1.8 GHz and an ARM Mali-T720 GPU. The SoC is complemented with 1 GB or 2 GB of LPDDR3 RAM depending on the model purchased and 8 GB of eMMC flash storage. There are also two versions with no pre-installed storage. All four models are otherwise equally equipped though. The Orange Pi 3 H6 has an HDMI 2.0a port, a Composite video output and a 3.5 mm jack. There is also a Gigabit Ethernet port and a Wi-Fi module that supports up to IEEE 802.11 ac and Bluetooth 5.0. Moreover, Shenzhen Xunlong Software has equipped the device with four USB 3.0 Type-A ports, one USB 2.0 port and a TF card slot. 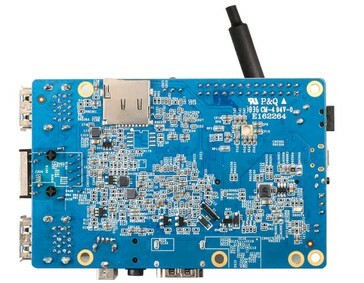 Additionally, the Orange Pi 3 H6 integrates an IR receiver and a 26 pin GPIO panel, the latter of which supports connecting actuators and sensors. The board measures 90 x 64 mm and weighs 75 g. The Pi 3 H6 can also be expanded with a PCIe card and supports Android 7.0, Debian or Ubuntu. The single-board computer currently starts at US$29.90 for the 1 GB RAM model without eMMC storage and rises to US$39.90 for the 2 GB RAM version with 8 GB of eMMC flash storage.